Two senators maintain that ZTE is helping China spy on America. Two US senators are asking President Trump to reconsider the ban on ZTE. Senator Mark Warner, the Democratic vice chairman of the Intelligence Committee, and Marco Rubio, a Republican member of the committee, wrote a letter to Donald Trump, claiming that ZTE still poses a threat to national security. “ZTE, though publicly traded, is a state-backed enterprise that is ultimately loyal not to its shareholders, but to the Chinese Communist Party and Chinese government,“ the letter stated. According to a Reuters report, the senators fear the Chinese manufacturer is using the deal it has with US companies to spy on Americans. 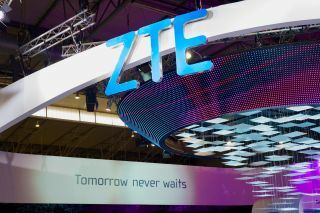 US companies were ordered to stop all business with ZTE, because the Chinese company exported its products, with US-made parts inside, to countries under US embargo – North Korea and Iran. This brought ZTE to its knees and almost forced the company into complete shutdown. The ban was later lifted, after the company agreed to pay a hefty fine and replace its management. The media were also reporting that the Chinese agreed to import more US-made agricultural products. While some lawmakers in the US praise Trump for how he handled the situation, others still fear the Chinese don't have honest intentions.